Let’s show a little love for the comma now and again, Muni. An em dash or semicolon are also, arguably, appropriate; but trying to add this comma via finger pad with any semblance of precision was tough enough. Shouts to Claes Oldenburg and Coosje van Bruggen’s Cupid’s Span photobombing this grammar moment. That’s been bothering me for a while. A long time ago, those two thoughts were on separate lines: not a lot of separation, but sufficient for public signage. Nope, now you’ve created a comma splice. Should be a semi-colon there. oops, and that’s just what you suggested. Sorry. 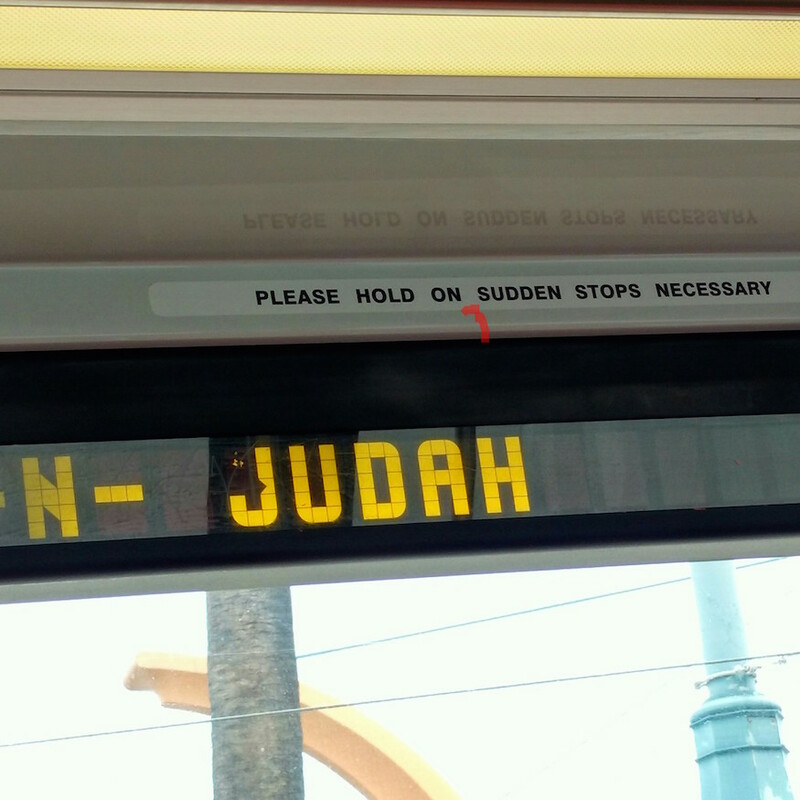 No, there should be one less space between the dash and “Judah” or one additional space between “N” and the dash. It’s a transit sign box, not a sentence.